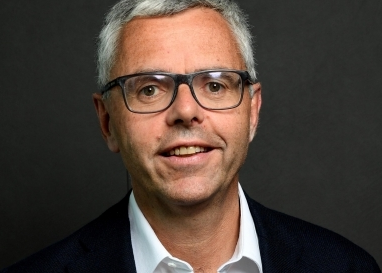 Michel Combes has resigned as Altice chairman and CEO following the company’s worse-than-expected quarterly results last week. Altice’s share price sank by a over a quarter following the results that highlighted a poor performance by French unit SFR in particular and spooked investors concerned about the company’s debt level. With Combes having fallen on his sword, Altice founder Patrick Drahi has stepped in to take on the role of president of the board of Altice to set out a new strategic, operational, commercial and technological agenda for the group and supervise its execution. Drahi, who stepped down as president when Combes was hired a year and a half ago, will have a particular focus on returning SFR to growth, according to the company. Reporting to Drahi, Altice USA chief executive Dexter Goei will additionally take on therole of CEO of Altice overall, but will retain his current focus on the US.Goei also previously served as the group’s CEO prior to Combes’ appointment. Chief financial officer Dennis Okhuijsen meanwhile has been appointed to the new role of CEO of Altice Europe. He will also continue to serve as CFO, with all European regional CEOs reporting to him. Armando Pereira has been named as COO, with a focus on France and responsibility for all core telecom operations across the group. Pereira, a co-founder of Altice along with Drahi, served as president of Altice Portugal/Meo until the start of this year, when the appointment of Paolo Neves to his old role freed him up to join Altice’s advisory council. Finally, Alain Weill, CEO of SFR Media, has been appointed as chairman and CEO of SFR as awhole – a role that became vacant when Michel Paulin resigned in September, with the French operation being looked after in the interim by Combes. 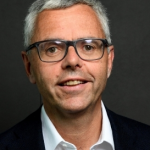 Weill, who will also now serve as COO of Altice Media, will continue to lead the media business across the group and implement Altice’s content and media convergence strategy in France together with Pereira and his team.